In May of 1994, I took my first international trip. With other young adults from across the country, I spent three weeks traversing Israel. We hiked the Golan, gazed at the Egyptian border, bathed in Ein Gedi natural reserve, dropped our handwritten notes into the cracks of the Kotel and dipped ourselves in the healing mud of the Dead Sea. We went SCUBA diving in the Red Sea, shopped in Jerusalem’s boisterous shuk, spoke with journalists covering the Israeli-Palestinian conflict, visited the Holocaust Museum, ate some of the best falafel ever (with french fries included), rode our first camels and slept under a million stars in a Bedouin tent. When I came home and shared the experience with my aunt, she told me my entire face lit up when I spoke about it. Needless to say, over twenty years later, it still does. A country full of contrasts and diversity, tradition and modernity, innovation and cultural heritage, Israel is a truly unique destination. Nestled amongst the Mediterranean Sea, the Red Sea, the Negev Desert and the Heights of Golan – Israel blends old worlds with new. Constant conflict and controversy are coupled with kindness and broad cultural diversity. Modern technology and world class science exist next to old world charm and traditional religious observance. English is spoken most places and public transport travel is easily accessible (stops on Shabbat – sundown Friday to sundown Saturday). 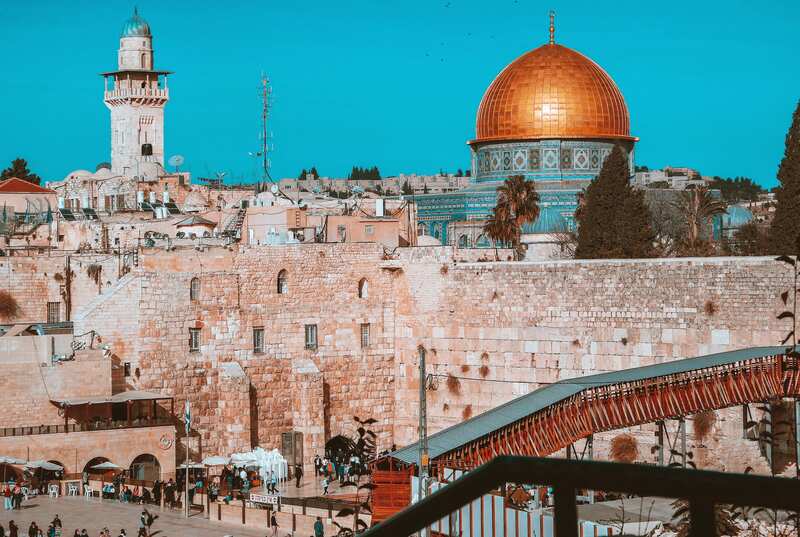 Whether you’re witnessing a bar mitzvah celebration at the Wailing Wall, partying in Tel Aviv, or discussing the difficulties in border cities – Israel entices thoughtful conversation and leaves you wanting more. Like other countries in the Mediterranean region, Israel has hot summers, a bit of cold and rain in the winter, and moderately temperate months on either side. Regardless of the time of year, modest clothing and layers will always be your friends. As usual, crowds will focus on warmer months as well as school holidays. Winter weather could hinder some of your planned excursions so be sure to plan accordingly. If neither timing nor weather is an obstacle for you – give May or late September a shot – they’re bound to be less busy and more temperate. Pack for the city, dive into the traditional culture, play on the cool beaches, hike in the mountains, and get your desert on in the Negev. Be it synagogue, church, mosque, or holy site, no matter where you’re headed in Israel, you’re bound to need some semblance of modest clothing. Something to cover your head and shoulders as well as skirts, dresses, or pants that go below the knees are a must. There are some places that are more specific than others and require women to have skirts or a dress. Men are in need of bottoms that cover knees and shirts that cover the shoulders – tank tops are not allowed in many places. No worries – for those who forget, or don’t have something available, most of the highly visited spaces have garments available to borrow at the door. For your Mediterranean adventure lightweight, loose fitting, and layers are the best clothing options. Depending on the time of year and your excursions, your clothing choices may differ slightly. With so many religious sites, be sure to pack items that can keep shoulders, heads and knees covered. Casual and comfy clothes are the norm. Do your best to be a conscious traveler and ditch items with slogans of any political or belligerent nature. Always keep in mind the time of year you’ll be visiting, pack accordingly and have something to keep you happy in all sorts of weather. Summer in Israel spans late May through early September. Be prepared for temperatures that could exceed 90 F (30 C). Ladies, pack a wrap to cover your shoulders and a longer dress for religious sites. Long pants, for men, will ensure that you’re properly attired for every occasion. Late September through November qualifies as fall in Israel. As summer crowds ebb, give sightseeing without those sweaty armpits a try but keep in mind that it can be warm one day, cool the next and rain is often possible. Israel is at the height of winter between December and February. Expect colder temperatures and possible showers. Don’t worry about snow; it’s very unlikely. Average temperature in Jerusalem in January is 48F (9C), so it will be cool, but not frigid. During the spring months of March through May, showers are always possible. As the temperatures begin to rise, you’ll be more comfortable sightseeing during the days but may still be cool in the evening. Now the fun begins! As you begin packing, consider what will go in your personal item and what will go in your luggage. Always keep medications and tech gear in your carry on luggage or personal item. Packing a basic first aid kit is a good idea no matter where you are going, and is imperative if you have any sort of health conditions or take regular medications. Israel has top rated doctors, pharmacies, and hospitals should you need to take advantage of those services while you’re on your holiday. When planning and packing, be prepared for the those things you can anticipate (like sunburn and mosquito bites), carry copies of your prescription medications (knowing the generic names is always helpful) and write down your allergies ahead of time (especially if they’re food/medicine allergies). As you plan for your trip remember that the official currency is the Israeli Shekel but carrying a few US Dollars or Euro is a good idea. Be sure to check with your bank cards and credit cards to let them know you’ll be overseas. Once the money is covered, it’s time to choose and pack a bag! 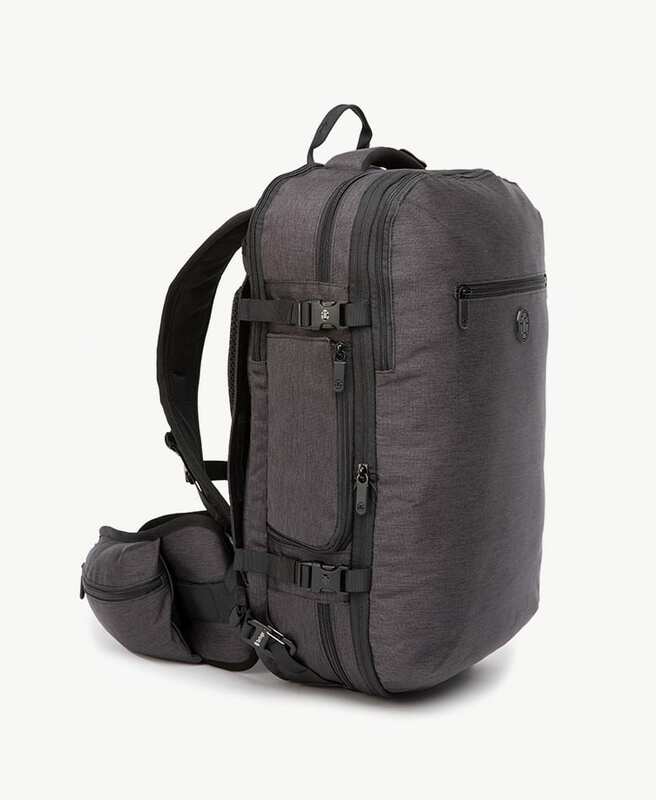 The best bag to travel to Israel with is a travel backpack. 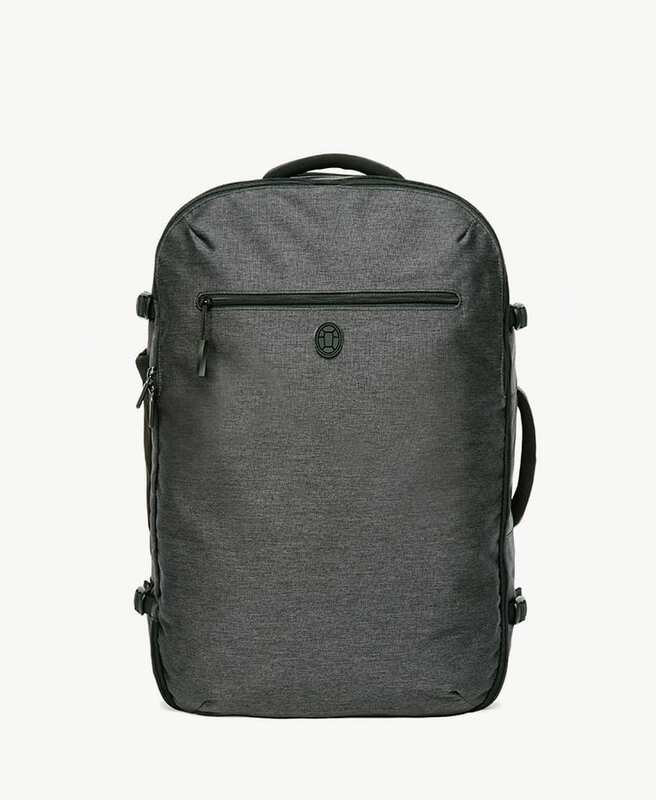 You won’t struggle dragging wheels over cobblestone streets, up and down stairs, or through ancient cities if you’ve got a travel backpack. 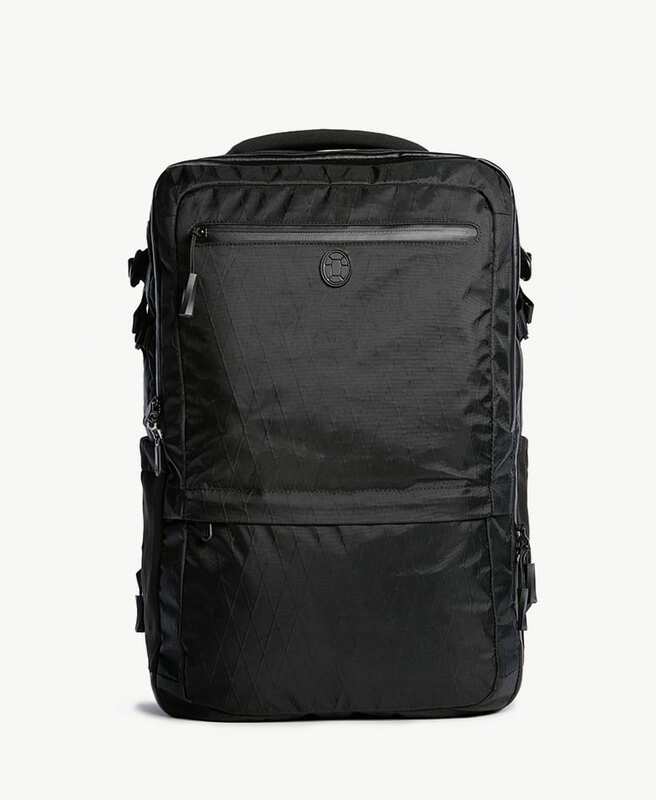 The maximum sized carry on for city travelers, this bag is just right for most travelers. 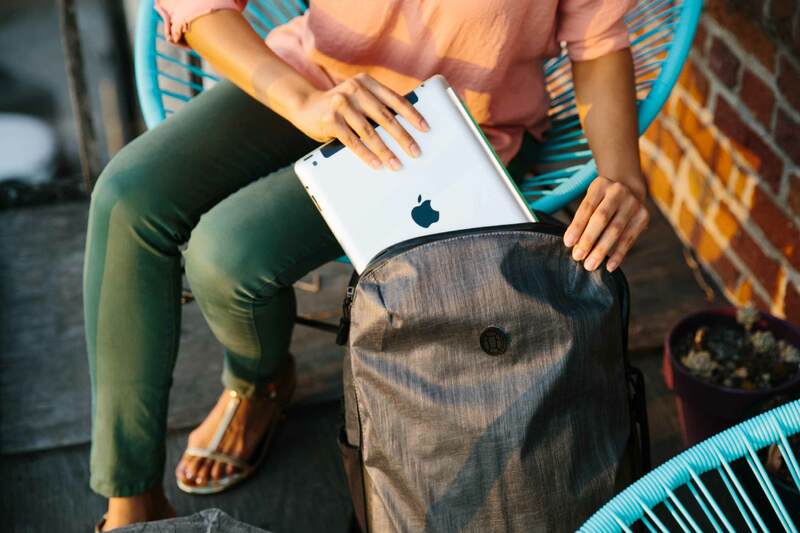 It carries like a backpack and packs like a suitcase. Available in two sizes, 35L or 45L, the Outbreaker is obsessively organized, and made of waterproof sailcloth. This bag will go the distance. For light packers and short trips. The Setout Divide is just the right size, whether you’re packing light for a weekend or a week. Most of us travel with devices large and small, cords of all kinds, and external batteries as a backup for our necessary gadgets. If you’re traveling from abroad, do remember to pack an adaptor/converters for Israel. Pack all of your chargers and cables in a separate packing cubes. What’s a Birthright Trip and How do I Pack for It? Birthright is the largest educational tourism organization in the world. Providing free 7-10 day journeys for Jewish adults between 18-26 (and those between 27-32 with limited availability). Birthright takes young adults on an adventure of a lifetime. Having been around for nearly 2 decades, their goal is to, “Strengthen Jewish identity, Jewish communities, and connection with Israel and its people.” Hitting the highlights of Israel, these travelers arrive with a sense of adventure and leave with a deepened understanding of culture, tradition and world relations. A former camper of mine, Nicole, went once and then chaperoned two Birthright experiences. A former student (now in her junior year in college to be a travel nurse), recently returned from her Birthright trip. “Even if you don’t practice, it’s such an eye opening experience and makes you feel connected to such a beautiful place,” she told me. Who Can Go on a Birthright Trip? Pack expecting limited access to laundry facilities and the knowledge that you’re going to be constantly on the move. The three largest monotheistic religions in the world all count Jerusalem among their sacred cities. Residing amongst each other, Muslims, Christians and Jews all call Israel home. 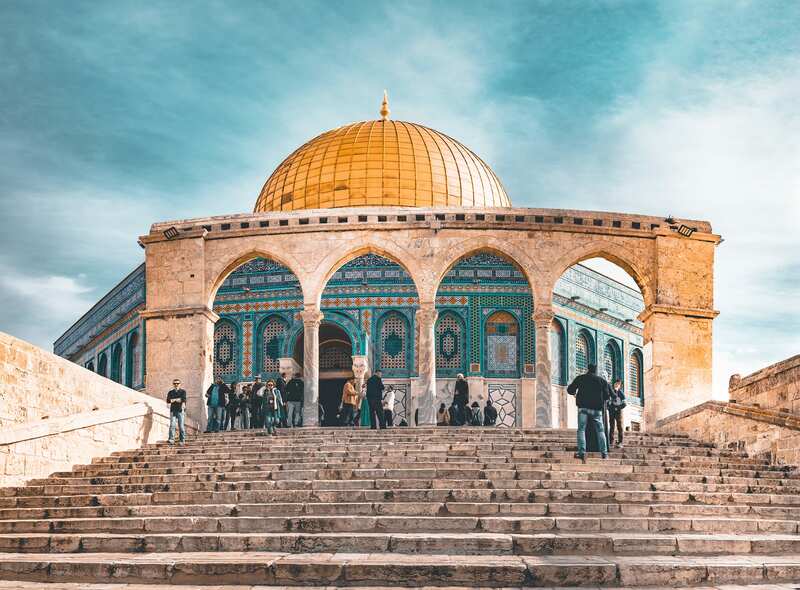 In Jerusalem alone, visitors can see the Jewish sacred site: Kotel (Wailing Wall), the Christian sacred site: the Church of the Holy Sepulchre and the Islamic sacred site: The Dome of the Rock. Regardless of your religious views or political stances, there are various stories to hear, viewpoints to discuss, and traditions to understand. 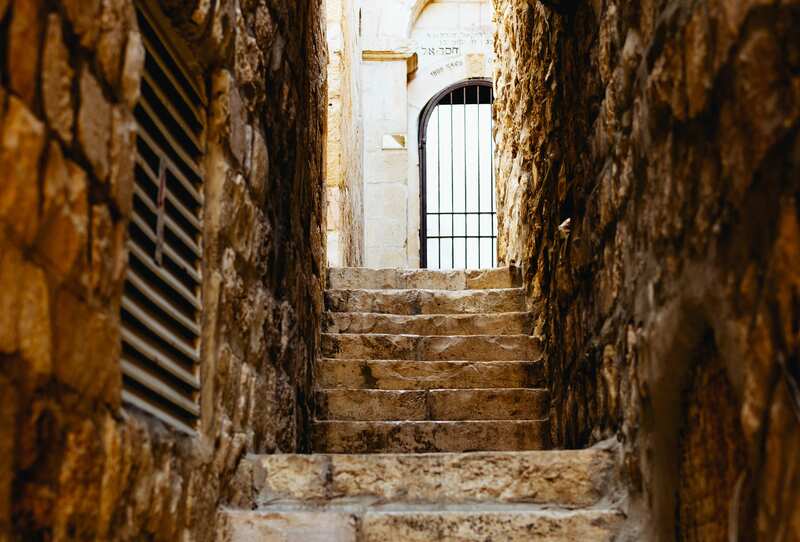 Whether you’re spending time in the Old City, on your way to explore Bethlehem, or thinking about heading to the West Bank – be sure to travel with respect, an open mind and a thoughtful heart. Around every falafel stand and corner cafe you’ll find culture, tradition, adventure, and entertainment. A visit can take you through Ben Yehuda market, to the clubs of Tel Aviv, to a weekend on a kibbutz and to the waters of Eilat. Witness hundreds praying at the Kotel (Wailing Wall), wander the Old City, or see the names of the thousands of victims of the Holocaust at Yad Vashem. Perhaps you’re checking out Haifa, hiking the hills of the Golan, eating your weight in hummus or reveling in the medicinal properties of the Dead Sea’s salt and mud. Whether on city excursions, country adventures, or heritage visits those who visit Israel seek culture, knowledge, tradition, and are always on the lookout for fun. Here are some of my recommendations for places not to miss in Israel. With its timeless blend of old world and new, culture, history, religion, and tradition, Jerusalem has so much to see and do. With its lively flair, Yitzak Rabin Memorial, happening events, and modern technology, Tel Aviv is far more than the landing pad for your Elal flight and the center of airport arrivals. 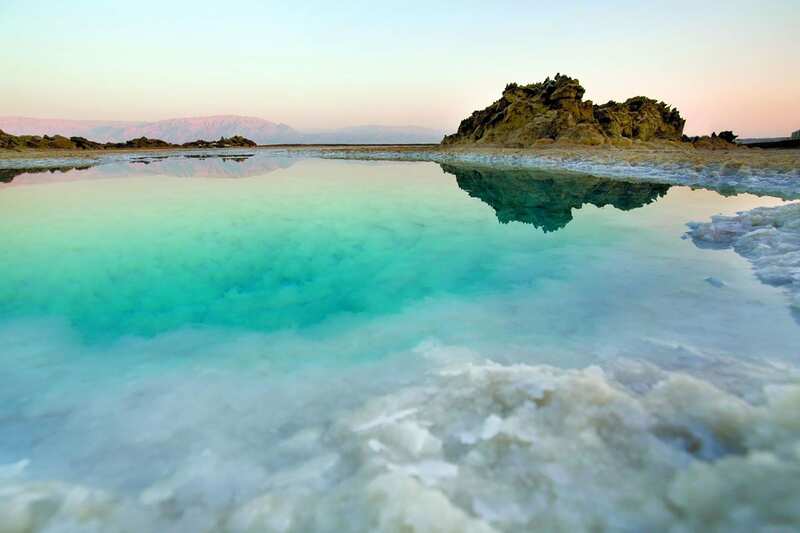 Known as the lowest place on earth, the Dead Sea doesn’t disappoint. Dip yourself in the salty water, cover yourself in the therapeutic mud, and embrace the wonders of nature. Top tip: Do Not shave the day of your visit – while the salt allows you to float to read the newspaper, the stinging properties of salt are equally as… awesome. Cool off in the natural hot springs of Ein Gedi Nature Reserve and let the crystal clear waters rinse off your salty skin. If you get the opportunity to hike Masada (UNESCO World Heritage Site) at sunrise, take it! Hike in the dark and greet the sun’s glorious colors at the top; what a way to start a day! A hike in the desert, a ride on a camel, eat a traditional dinner on the ground, and spend a perfect desert evening sleeping under the stars in a Bedouin tent. This adventure is one for the ages! Got more time? Add to your already spectacular journey by hopping the borders to Petra, Jordan or Cairo, Eygpt. Bring your water bottle, sturdy walking shoes and appetite for cultural immersion on your Israel adventure. At the core of three world religions, this culture showcases more than you can capture in a few days. Explore widely, experience the local cultures, and be prepared to leave with a desire to return!